Say goodbye to cold wet hands forever! The Grayne Flite glove utilizes the latest in insulation and waterproofing tech with their Therma-fill insulation and hydrophobic waterproof exterior for 100% protection from the elements. To ensure you never have to expose your hands to the cold the Flite features a state of the art touch screen compatible liner that allows you to answer phone calls, switch music, and text all while still keeping your hands warm and toasty inside the micro-fleece liner! Then a dual cinch cuff allows you to seal your glove with both a pull strap and velcro wrap, ensuring complete protection from loose snow! The pre-curved ergonomic shape of the glove feels like you’re wearing nothing, while dual flex zones on the palm allow for complete dexterity. Finally a glove that you can wear while still having the functionality of a bare hand! Use your smart phone or any touch screen without freezing your hands! 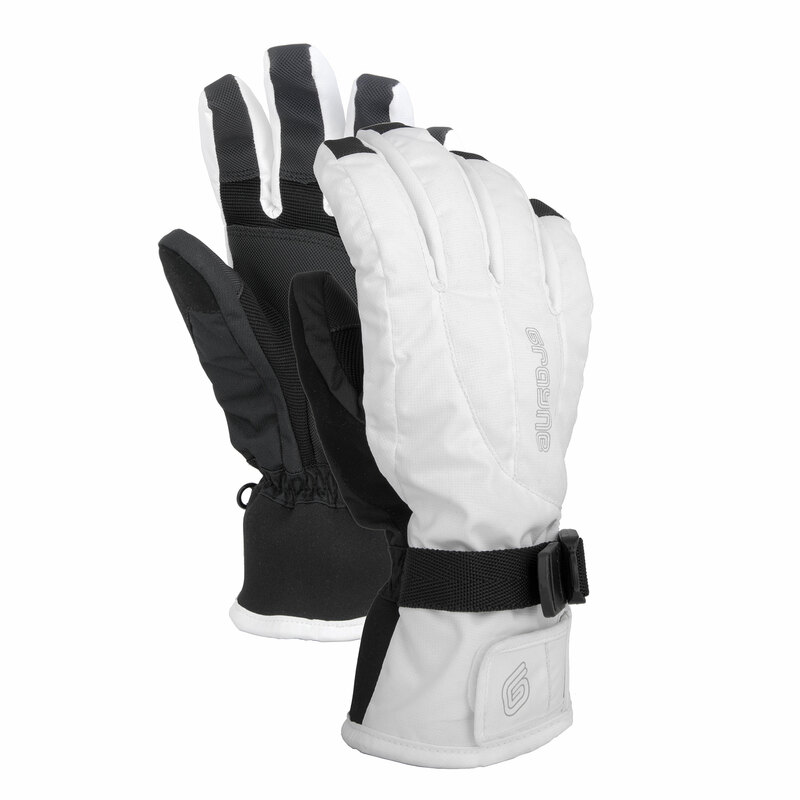 The Flite utilizes a state of the art micro fleece touch tech inner glove that not only adds an extra layer warmth and wetness protection, but allows you to use any touch screen without having to subject your hands to the elements. 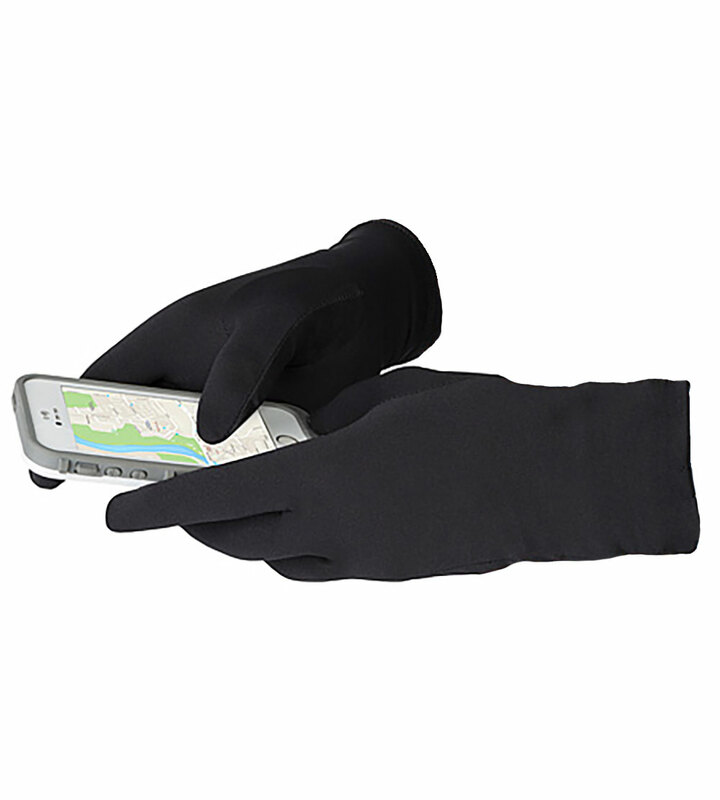 Select music, text, and answer phone calls, while keeping your hands protected from the cold! With conductive fingertips on both the thumbs and forefingers, you’ll forget you even have a glove on! The outer shell of the Flite utilizes a special hydrophobic exterior for maximum water protection on even the wettest days while the interior wicks away sweat! Then Grayne adds a dual zone flex panel in the palm to maximize dexterity. The Flite allows you to use your hands as if they were completely free while providing 100% protection for the elements!